It's nice to compare the latest photos we took of the Eco-Link@BKE recently with our early photos, taken just after the planting works were completed, back in 2013. The wildlife bridge has been monitored by NParks with camera traps, bat detectors (which is a device that detects the echolocation calls made by different species of bats and not a gadget used by Bruce Wayne), and bird ringing programs. Pangolins, palm civets, have been recorded as having crossed the Eco Link, as have many species of birds and bats that had previously never been known to cross the BKE before. 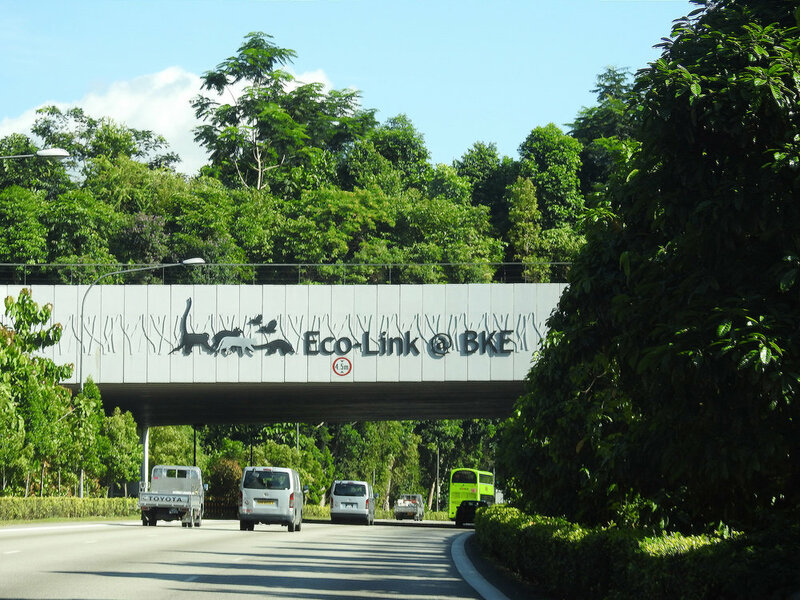 The Eco-Link@BKE seen here with large trees in July 2017.